Properties in Quebrada Seca average 4.7 out of 5 stars. Brand new townhome w/ balcony & shared pool - walk to beach & downtown! Property 1: Brand new townhome w/ balcony & shared pool - walk to beach & downtown! Brand new modern 2BR condo! Property 4: Brand new modern 2BR condo! Property 10: Beachfront Condo in Paradise with Million Dollar View! Property 11: Beachfront condo with amazing ocean views, shared pool, and a great location! Beachfront condo with amazing ocean views, shared pools, and a great location! Property 13: Beachfront condo with amazing ocean views, shared pools, and a great location! Property 14: Macaws Ocean Club Most Desirable Condo Complex in Jaco! 2 Night Minimum Stay! Stunning oceanfront condo with shared pool, nearby beach access, and more! Property 15: Stunning oceanfront condo with shared pool, nearby beach access, and more! Book now for Winter 2020. It gets booked up! Poolside condo La Paloma Blanca. Property 16: Book now for Winter 2020. It gets booked up! Poolside condo La Paloma Blanca. Property 17: Condo in oceanfront resort offers easy access to beach, shared pool, and more! Gorgeous oceanfront condo w/ views, shared pools & easy beach access! Property 19: Gorgeous oceanfront condo w/ views, shared pools & easy beach access! Modern townhouse w/ private pool & easy beach access - dogs ok! Property 21: Modern townhouse w/ private pool & easy beach access - dogs ok! Luxury beachfront villa with shared pool perfectly placed for exploring Jacó! Property 22: Luxury beachfront villa with shared pool perfectly placed for exploring Jacó! Bright poolside condo with ocean views, modern amenities, & nearby beach! Property 24: Bright poolside condo with ocean views, modern amenities, & nearby beach! Oceanfront condo has easy access to shared swimming pool, beach, and more! Property 25: Oceanfront condo has easy access to shared swimming pool, beach, and more! Poolside condo in oceanfront resort offers easy beach access, private balcony! Property 27: Poolside condo in oceanfront resort offers easy beach access, private balcony! Property 28: Highly Desirable Beach Location! 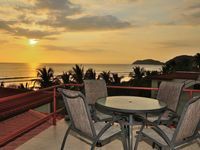 PURA VIDA PENTHOUSE BEACHFRONT IN BAHIA AZUL 3 BEDROOM/2BATH SLEEPS 6!!! Property 30: PURA VIDA PENTHOUSE BEACHFRONT IN BAHIA AZUL 3 BEDROOM/2BATH SLEEPS 6!!! Modern apartment w/ great ocean view, balcony & shared pool - 100 yds to beach! Property 32: Modern apartment w/ great ocean view, balcony & shared pool - 100 yds to beach! Gorgeous luxury condo in beautiful Jaco Beach! Cheaper rates for longer stays! Property 33: Gorgeous luxury condo in beautiful Jaco Beach! Cheaper rates for longer stays! Two luxury oceanfront condos w/ shared pool & ocean views - walk to beach! Property 34: Two luxury oceanfront condos w/ shared pool & ocean views - walk to beach! Private Pool-Mature Garden-Secure Home, on a quiet street. Property 39: Private Pool-Mature Garden-Secure Home, on a quiet street. Elegant oceanfront condo w/ ocean views & shared pool - steps from the beach! Property 40: Elegant oceanfront condo w/ ocean views & shared pool - steps from the beach! Oceanfront condo with shared pool, views, easy beach access, great location! Property 43: Oceanfront condo with shared pool, views, easy beach access, great location! Beautiful oceanfront condo w/ shared pool - beach and attractions nearby! Property 46: Beautiful oceanfront condo w/ shared pool - beach and attractions nearby! Property 48: Oceanfront condo w/ ocean views, shared pool & balcony - walk to the beach! Modern waterfront condo w/ shared pool & ocean view - beach access close by! Property 50: Modern waterfront condo w/ shared pool & ocean view - beach access close by! The condo was beautiful and stocked with everything you need. Steps to the ocean and the view from penthouse was breathtaking! The grounds and pool are wonderful! Lovely beachfront house with an amazing pool. Let me begin with the good. The property is as lovely as the photos show it to be. It is clean &amp; well maintained. Rooms are large &amp; easily accommodated 6 adults in our group. The pool is fantastic! It came with 4 noodles, 2 rafts, &amp; 1 beach ball. We spent many hours in this glorious pool, easily my favorite feature of the house!! Gabriel, the property manager, was amazing, always responsive &amp; helpful. Wendy, our housekeeper, kept Casa Milagro in perfect shape on a daily basis always with a smile. We had daily visits from an iguana (Spike), lizard (Izzy), cats (Zorro) &amp; (Ghost) &amp; many birds. Every day we watched glorious sunsets right in front of the house. Now for the not so good. It&rsquo;s very hot in February, we were there for the entire month. Days are very hot , nights stay very warm. The air conditioning in the house and bedrooms are locked at 77degrees. Not a comfortable temperature when the weather has been so hot day after day, making cooking dinner uncomfortable &amp; sleeping difficult. Be very aware of locking everything in your safe, your room &amp; the front gate. We were not quite so diligent &amp; were robbed from guesthouse #1 while we were preparing dinner at the main house( iPhone, Mac laptop, kindles, checkbook).That has never happened to any of us in our many years of travel. Lastly , the town of Jaco itself is sadly a tacky strip of souvenir shops, clubs &amp; mediocre restaurants. Amanicio&rsquo;s being the exception. On the whole, we enjoyed our stay at Casa Milagro.